The Boothill Trip is a special trip that is offered the weekend of June 26, 27, and 28, 2009. This day adventure will be filled with history, culture, and authentic adventure that gives a real-life experience of the West. 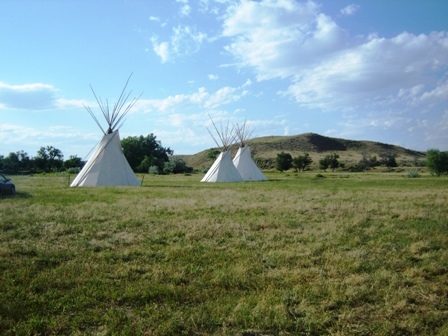 From visiting Custers Last Stand Reenactment, you will get history-filled observance of the events that led up to the famous last stand for General George Custer. While in the area, a visit to the battlefield visitors center provides history of the many battles fought. 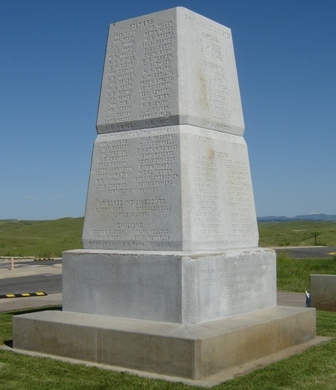 Time permitting, we will visit Benteen Hill, Custer Coulee, Pompeys Pillar, or Fort Custer museum. There will be on-site presentations by guides as well. 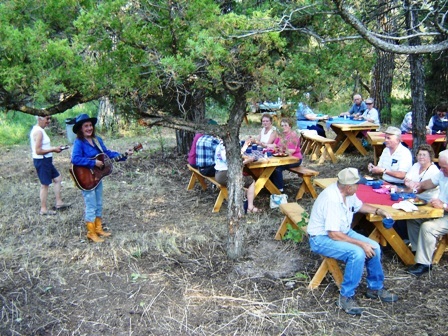 Bring a sack lunch as we will be at the visitors center area but don't eat to much as the late afternoon/evening will be filled with a gourmet steak dinner by our very own camp cooks. 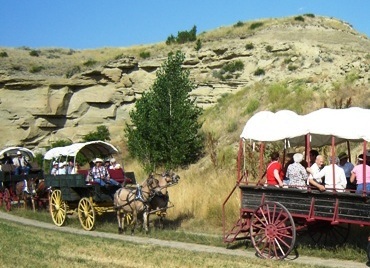 As the reenactment concludes, we will make our trip back into Billings where you will explore what it was like for the pioneers riding in a covered wagon. 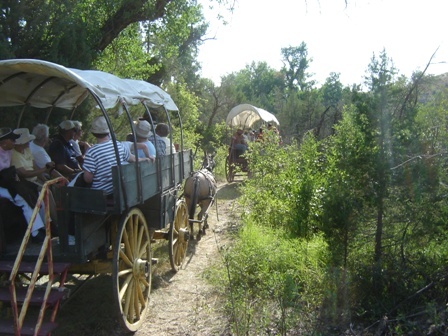 This covered wagon ride and journey along the Pryor Creek stream will bring home the pioneer spirit of the authentic West. Sit back and enjoy the cowboy demonstrations and country western entertainment provided. If you would like to make reservations for the Boothill Trip, or have additional inquiries, fill out the Form and select "Boothill Trip" in the option drop down menu. Copyright © 2007 - 20101 WRC Sponsored Event- All rights reserved.